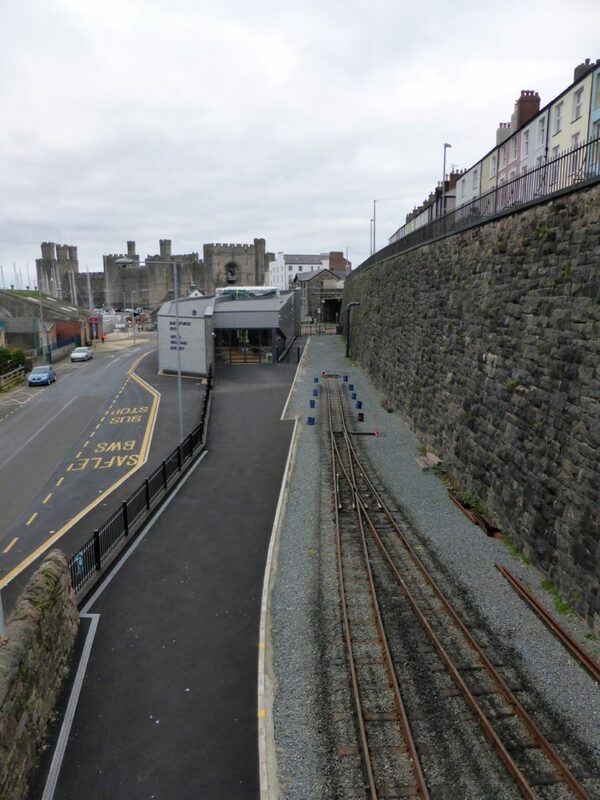 I thought I would visit Dafydd and his crew at Caernarfon station this morning as they were once again, engaged in moving track!. Bonnie and I were all kitted out in our Hi Vis ready for action!.. Imagine my surprise when this is what I found! We trooped back to the car to see Neil, the Sea Captain, arrive in his car. 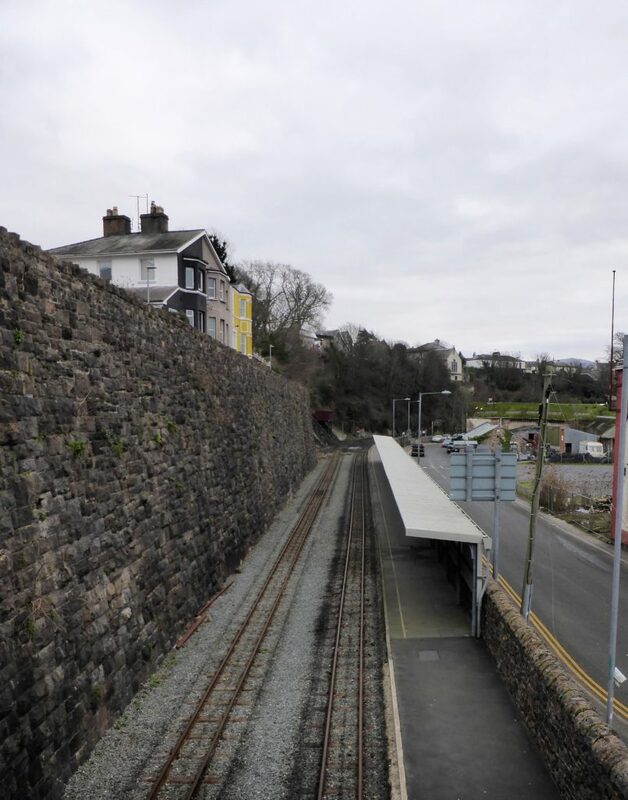 He told me that Dafydd was searching Minffordd Yard for a missing blade guard for cutting the track! Deciding that as they could be a while longer, I set off towards Caernarfon centre to find a cup of coffee and walk Bonnie. No sooner had we set off, I saw the waggon parked up and orange Jackets at work! 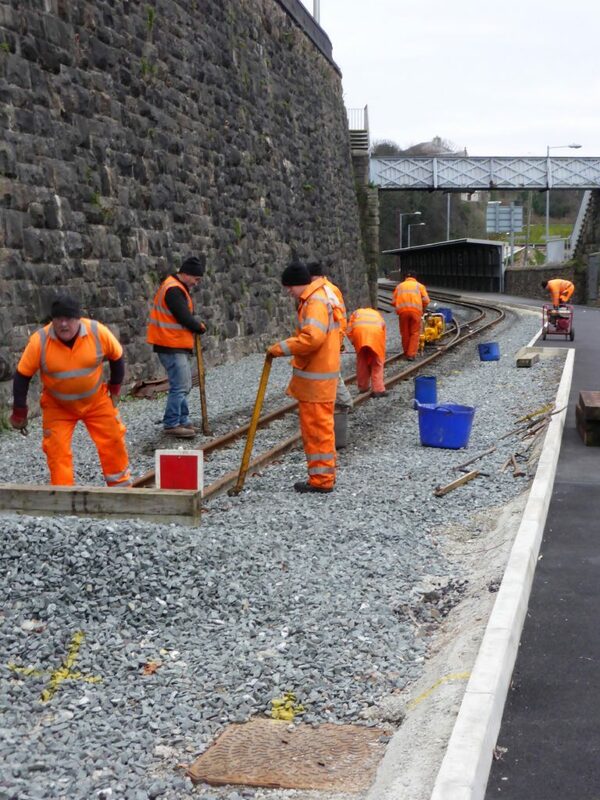 Dafydd was still at Minffordd, but his team were quickly getting stuck into the job of lifting the track.